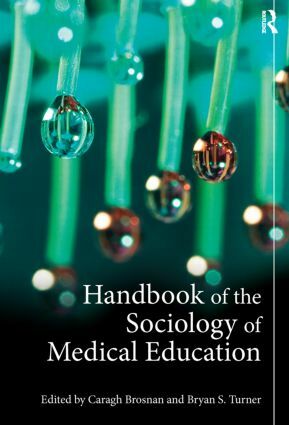 The Handbook of the Sociology of Medical Education provides a contemporary introduction to this classic area of sociology by examining the social origin and implications of the epistemological, organizational and demographic challenges facing medical education in the twenty-first century. Beginning with reflections on the historical and theoretical foundations of the sociology of medical education, the collection then focuses on current issues affecting medical students, the profession and the faculty, before exploring medical education in different national contexts. Leading sociologists analyze: the intersection of medical education and social structures such as gender, ethnicity and disability; the effect of changes in medical practice, such as the emergence of evidence-based medicine, on medical education; and the ongoing debates surrounding the form and content of medical curricula. By examining applied problems within a framework which draws from social theorists such as Pierre Bourdieu, this new collection suggests future directions for the sociological study of medical education and for medical education itself.